Italian designer Roberto Curtó has introduced a superyacht concept, developed in collaboration with SuperYachtsMonaco and naval architect Mario Grasso of Navirex. 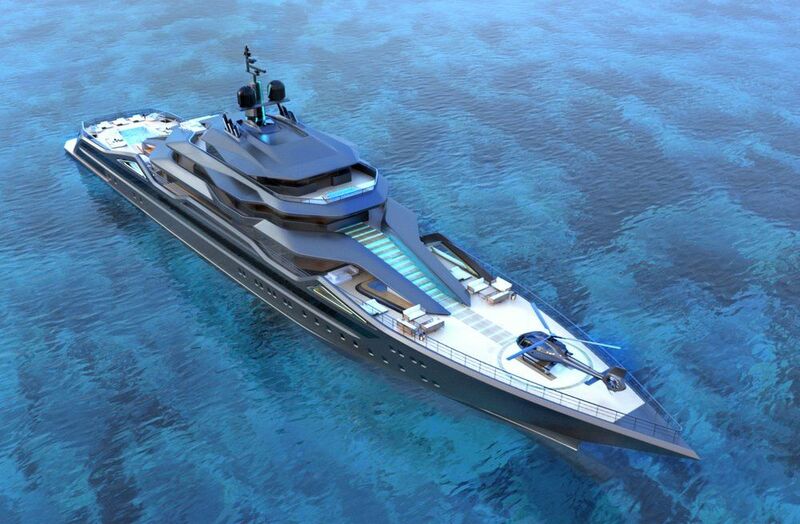 Measuring 101m, the project has attracted the interest of Fincantieri Yachts, that have been considering ways in which they might cooperate with RC Design and SuperYachtsMonaco if the build is realized according to Yacht Harbour. The design demonstrates perfectly Roberto's signature style which is innovative yet practical. Several well-qualified buyers have already shown serious interest in this remarkable project. A stand out feature includes an external central staircase that takes guests directly from the helipad on the bow over the superstructure and round to the aft deck. At the aft, the stairs descend gracefully on two sides of a very playful water slide that splashes down into the pool. 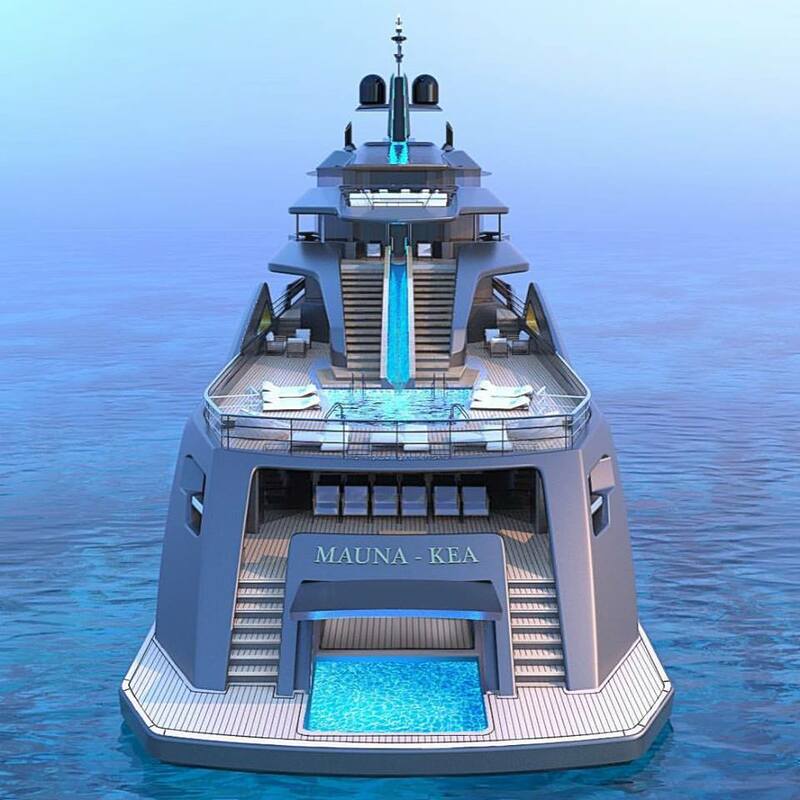 The concept is currently named Mauna Kea after the 10,000 meters high dormant volcano in Hawaii, and the expedition nature of the design would be ideal for an owner who has an interest in a true global cruising program. While not ubiquitous in the market as a design name it is well known that since the foundation of the company in 2004 Roberto Curtó design studio has created or taken a lead role in the design process of over 70 yachts under 72 meters for many established and emerging brands and private owners.